Have you ever heard the word ‘Cook-Bang’, which is a newly coined word for cooking program? Cook-Bang is a compound word of ‘cook’ and ‘bang’ which means to broadcast in Korean. Cook-Bang refers to a type of TV Program where the entertainers not only eat with relish but also cook by themselves and introduce the recipe. It is a evolved version of Meok-Bang, a video clip of people eating food. Nowadays, Korea is in the grip of Cook-Bang fever. As a result of this fad, formats of cooking programs have also changed. In the past, programs such as ‘<Tasty Road (O’live TV)>’ and ‘<Gourmet Expedition (MBC Every1)> in which entertainers introduce and evaluate culinary hot-spots gained popularity whereas programs like <Please Take Care of My Refrigerator (JTBC)> and <Mr. Baek: The Homemade Food Master> of which the handsome, humorous and charismatic chefs take pivotal role are in the spotlight these days. 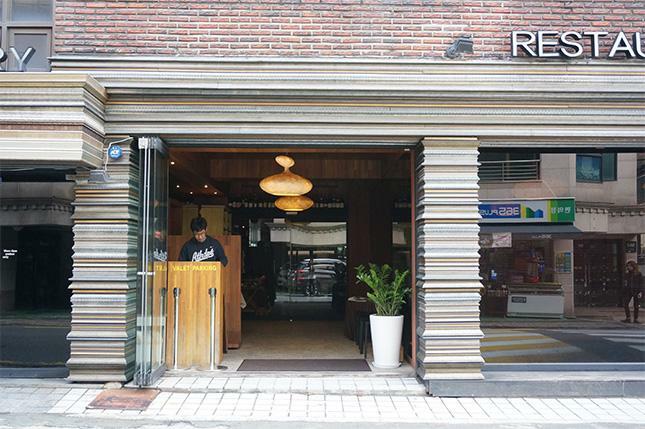 Let’s visit restaurants of star chefs who are as popular as Hallyu Stars and go on a trip to culinary hot spots of their recommendation in Seoul. Eat and eat, cook and cook. 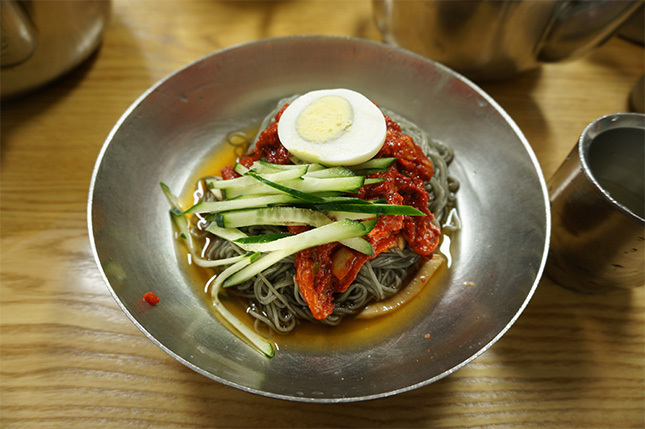 Food is undoubtedly a No.1 hot issue in present-day Korea. After a cooking TV program ends, the words related to the program rank high. Not only that, we are awash with new chefs and culinary hot-spots and cooking recipes. It is an era that what you eat tells you what you are. Once a restaurant is introduced in a TV program, the restaurant is soon overcrowded with people. Ingredients in major markets sell like it’s a bottomless pit. Cook-Bang takes its own position as a new content flattering the senses. The following are celebrity chefs who are as famous as Hallyu stars and their restaurants. ‘Believe in me and you can cook yourself!’ Baek Jon-won’s special cooking class for poor males who will starve without their wives or mothers. Mr. Baek, the father of chef-tainer introduces how to make delicious homemade food like a knife through butter. Oh Sye-deuk is an executive chef in his restaurant JULY. Actively participating in well-known cooking shows such as <Korean Food Competition (Olive TV, 2013)>, <My Little Television> and <Please Take Care of My Refrigerator (JTBC, 2015), he is now getting his day>. 8 to 10 tables are prepared inside the restaurant. There are also small separated rooms, which is fit for group meetings. It starts with refreshing appetizers and ends with sweet deserts, which is quite harmonious and eye-catching. If you are lucky, you can meet Oh Sye-deuk and have greetings with him. If there is no private schedule, he comes to the restaurant and takes care of things from A to Z. TIP. Seorae Village is a perfect place to take a walk. The village is commonly called as ‘France in Korea’ There are a lot of French restaurants and cafes with bakery. Spicy bread crumbs, apricot puree, roasted foie gras or kale, scallop, shrimp ceviche, fertile chicken eggs, paprika sauce, roasted wild bass, 1+-class Korean beef(sirloin) or grilled lamb chops from Australia rosemary sorbet, coffee or tea with French snacks. Around the area are 9 restaurants of Hong Seok-cheon’s ‘Mai Series’; My X, My Chichi’s, My Chelsea, My Noodle, My Thai China and others. Everything from Southeast Asian food to American brunch is right here for you. Tip. Some restaurants are already booked for one month or even 3 months. Therefore, it is highly recommended that you make an early reservation for your visit. 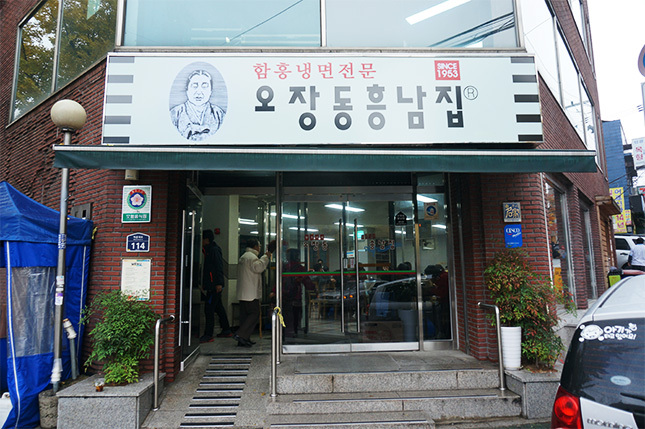 Heungnam House is an original North-Korean-style restaurant opened in 1953. It is a famous venue between renowned chefs. Heungnam House has been introduced in many TV shows such as <Wednesday Food Talk (tvN, 2015)> and <Let’s Look for Delicious Food (MBC, 2015)>. Recently it was introduced in <The Infinite Challenge (MBC, 2015)> in a bid to promote Korean food. In the program, Sam Hammington and Samuel Okyere ate Korean dishes with relish. What fascinated them was cold noodle garnished with raw fish. This is a signature of the place. They ate like a horse. Mix the noodle with icy soy sauce, a little bit of sesame oil, vinegar and sugar according to one’s preference. Enjoy spicy-sweet flavor, which is hard to forget. It is always crowded with people of all ages proving its deep-rooted tradition. Tip . Dishes for vegetarians are also available.